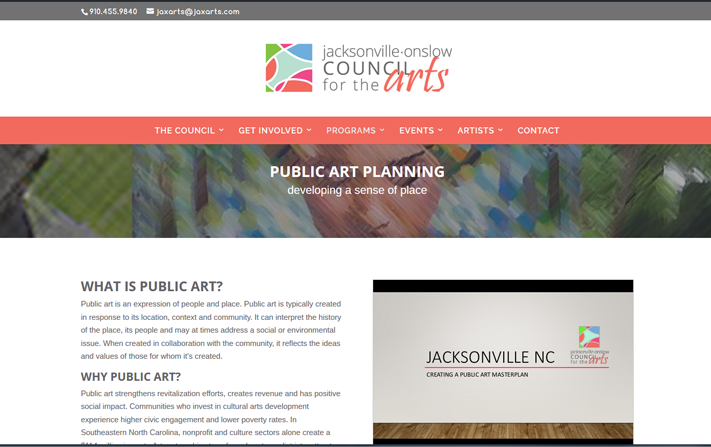 The Jacksonville-Onslow Council for the Arts needed a new, mobile-friendly website to help the local nonprofit connect with their audiences. 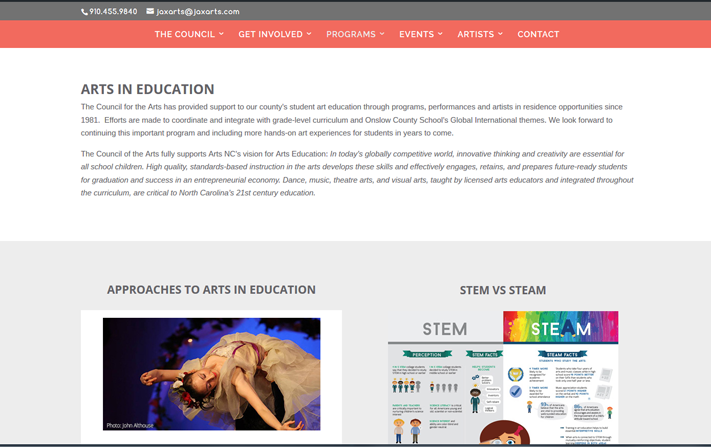 The organization’s digital presence was in need of a cohesive brand and a platform that would allow the staff and volunteers of the organization to provide up-to-date program information for artists, educators, students and citizens in a more user-friendly and easy-to-manage format. The project resulted in a site the Arts Council can continue to utilize and will grow with the organization. Pages such as the one shown here, communicate the mission, goals and priorities of the organization. 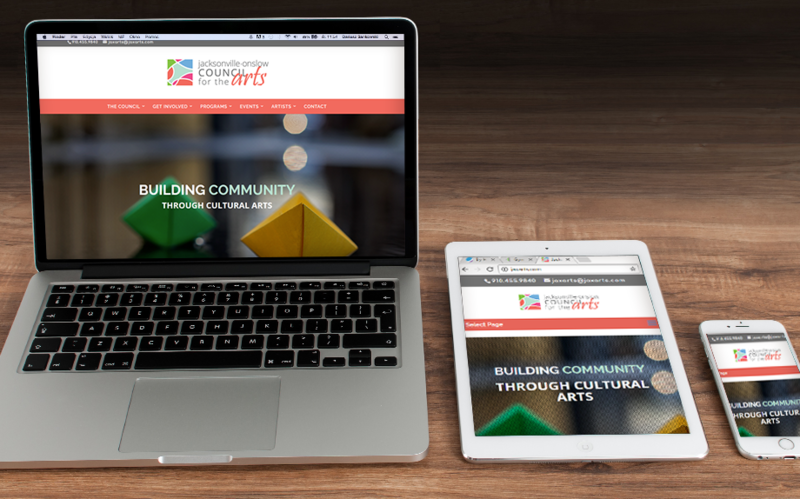 Programs and projects of the Arts Council are highlighted in the website’s pages, blogs and the events calendar.